Paul Coleman, Project Manager, talks us through an interesting find at the folly. We’ve found lots of things at the Folly during the works, especially whilst carry out out soil movement which unearth lots of broken pot, plate and ceramics – all telling a story of the people who have used the building and the estate over the years. The Fact . . .
A number of bullets, or their cartridge cases were found and you can date these, so by carefully rubbing on the end you will see the ‘Head Stamp’ and this tells a lot. It tells us it was manufactured by Crompton Parkinson Ltd, Guiseley, Yorkshire. Originally a electric supply company and component manufacturer, who made a wide range of electrical goods including electric motors, electric generators, light bulbs, power cables and batteries. This factory was set up as part of the 1939-1945 war emergency expansion plan to make ammunition for British Military. The cartridge was made in 1943, right in the middle of World War 2. 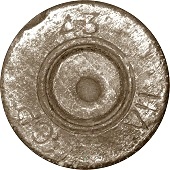 Crompton Parkinson produced .303 caliber cartridges during the period 1940-1944. 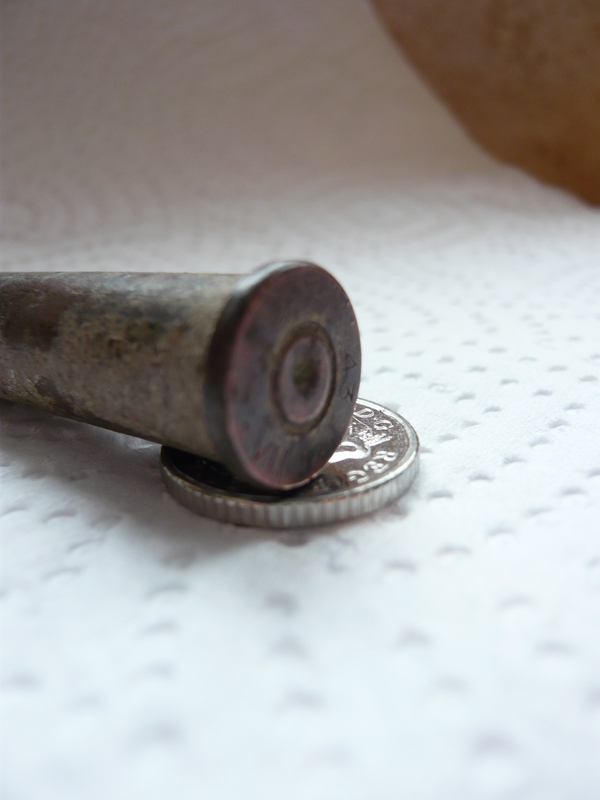 This cartridge had 174 metal grains in the pointed Mark VII bullet. The 303 was the main light round for the British Army used in the Lee Enfield Rifle (British Army Standard issue rifle adopted between 1895 and 1956), Vickers medium machine gun ,Browning(Vickers and BSA manufactured) .303 machine gun – the machine guns were either static ground mounted or used on aircraft such as supermarine spitfire, hawker hurricanes, Gloster Gladiator, Fairey Swordfish and Wellington Bomber. 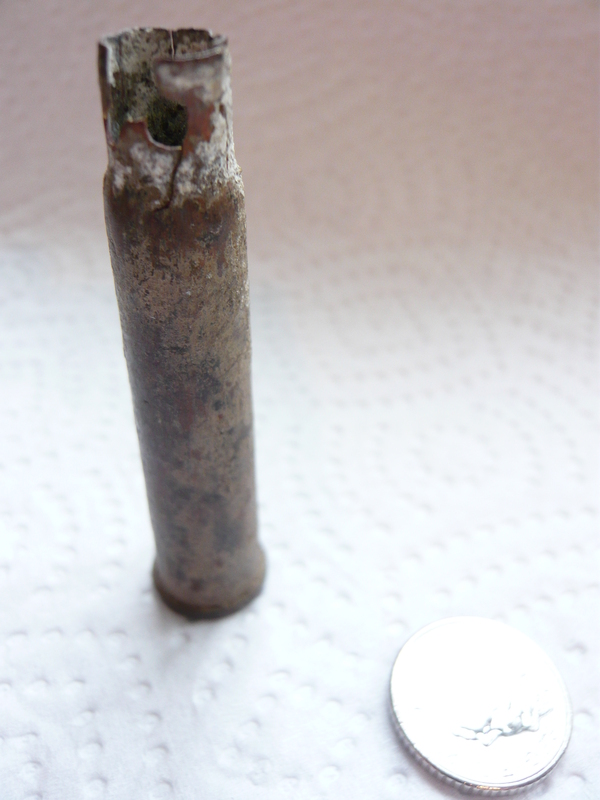 So why have we found a number of these spent cartridges, we know part of the South Park was the site of an American military hospital built during the Second World War. After the war it was used for a short time as a teacher training college before it was demolished in the 1950s. We are also on the flight path of Duxford – on a clear day you can see the reflections of the big hanger from up on the hill. My story is one of the Folly at War, a time when the sky was charged with squadrons from many different countries. Duxford airfield lay over the horizon and in 1943 it was assigned to the United States Army Air Forces (USAAF) however a small but important squadron of British planes were retained and including a fearsome team of Spitfire. The Folly was a beacon on the hill used as a triangulation point, a way marker for their approach and point for their final approach to land. A clear sky with the moon setting a sliver glow across the park, the expanse of the Hall pinging into view, the heightened anticipation and adrenaline of arriving home after a long and gruelling sortie, the howl of the engines stirring a flock of geese near the lake, and a low flight across the park. The Folly shines in the distance, edging its way above the tree line and yes, the adrenaline kicks in again – the speed of the plane can be sensed as the Folly rapidly gets bigger through the glass cockpit window. In the field beyond the Hall, the camp is bustling with activity and many of the men are sitting on the steps of their make shift huts smoking and listening to the low drone approaching, they know from the sound of the distinct whine and whistle that it is at least 3 planes, they stand to try to pick out from the moon light above the Hall the distinctive shape and wing formation. The trio skim the top of the folly tower they bank hard left releasing a sharp burst of fire into the sky. The orange trail line of the bullets can be seen for miles, the spent cases rattle off the wing and tumble to the ground. Its not a display of power, but the exhilaration of coming home and a sense of pride running through their finger as they press the button on the joy stick, as a short burst of the cannon fire releases a line into the sky. Fact, the browning had a Muzzle velocity which was rated at 2450 feet per second (that’s right quick) and an effective range to 2,190 yards, with maximum range to 4500 yards. So using the Folly as a point of approach and the spitfire maximum speed of 340mph. They would be passed the Wimpole Estate in a flash, releasing a cannon fire quickly would mean the spent cases dotted for some distance around the area and quite possibly those which have been found at the Folly.